James and Steve end out the year with a little vertical tasting of small-batch holiday barleywines from the past couple of years. Home brewers Greg Pietsch, Scott Schluter, and Mark Glinski describe a partigyle brewday when they used two mashes to generate a lot of beer. Derrick Johnson of MrBeerFans.com shares advice on how Mr. Beer brewers should up their game. Also, listener feedback on pumpkin beers. Does pumpkin really make an impact on beer flavor? Home brewers Joel Neal and Phil Saylor share the results of their pumpkin beer experiment. Joe Bair of Princeton Homebrew talks about his groundbreaking experiments in using the heat of the sun to brew beer. 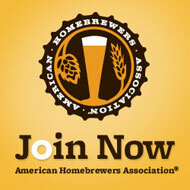 We talk with American Homebrewers Association Director Gary Glass about goings-on at the AHA, how to start a club, and the legal status of home brewing in Kentucky. Chris Colby, editor of Brew Your Own magazine, gives us tips and tricks on brewing in apartments or other smaller spaces. Home brewer Kai Troester brings us a bit of insight into brewing techniques from 1860s Germany from texts that he has translated from that time. In our final audio interview from our Portland trip, we visit Upright Brewing Company and talk to head brewer Alex Ganum. Mad Fermentationist Michael Tonsmeire and fellow brewer Nathan Zeender talk about their experiments with solera brewing and barrel aging. Jeff Bearer from Craft Beer Radio steps in to bring us interviews with the 2009 Sam Adams Longshot finalists and the results of the competition. James and Steve head to nearby Tulsa, Oklahoma, to help judge the FOAM Cup homebrew competition. In our first show from Portland, we attend a meeting of the Oregon Brew Crew homebrew club. We talk to brewing legend Fred Eckhardt and also find out about a project to build the perfect APA. Chris Colby, editor of Brew Your Own magazine, revisits his countertop partial mashing technique with some recipes that are a bit out of the ordinary. Home brewer Greg Pietsch shares his efforts in raising a stable of yeast for use in his own brews and for sharing with friends. Home brewer Matt Troutman describes the results of his experiment comparing adding strawberries at the end of the boil and into the secondary fermenter. Home brewer Ricky Klein shares beers and his philosophy of brewing around the traditional style guidelines with ingredients found on hand. Sean Paxton, The Homebrew Chef, sits down with James and Steve after his National Homebrewers Conference presentation to talk about the philosophy of beer and food. Douglas Wawrzynski shares his observations and interviews following the first legal home brewing competition in Utah's history. James and Steve taste a decoction experiment conducted by members of the Washington Homebrewers Association and get guidance from Michael Ferguson of BJ's. The troubleshooting panel discussion at the National Homebrewers Conference, featuring Tomme Arthur, Vinnie Cilurzo, Michael Ferguson, John Palmer, and Ken Grossman. The mead panel discussion at the National Homebrewers Conference, featuring Byron Burch, Charlie Papazian, Curt Stock, and Harold Gulbransen. In the first of our coverage of the National Homebrewers Conference in Oakland, Ken Grossman of Sierra Nevada Brewing gives the keynote address. Home brewer Alex Roberts joins James in the studio to compare brewing applications and Web sites that work on mobile devices. Chris Colby, editor of Brew Your Own magazine, updates us on how his garden grows and gives us tips on corking Belgian beers. Home brewer Joshua Smith joins us to tell us how to make our own candi syrup for our Belgian beers. Jason Perkins, head brewer of Allagash Brewing in Portland, Maine, talks about his brewery's work in fermenting beer with the native local "critters". - See the first brew session on YouTube. Chris Colby, editor of Brew Your Own magazine shares tips to make the already-economical process of home brewing even more efficient. Home brewers Jim Lewellyn and Darren Goad join us to share the results of their American Pale Ale experiment, playing with yeast and dry hopping. James flies solo at the brewpot to test out the "Brew in a Bag" Australian technique of all grain brewing with a Maris Otter session ale. Australian home brewers Dan Walker and Geoff Hammond explain the all grain technique of Brew in a Bag, which they advocate as a good way to get into brewing with grain. Home brewer Kai Troester explains how to analyze all grain efficiency going into the brewpot and beforehand in the mash tun. James joins Mehmet Kadiev, head brewer, and David Mathews, assistant brewer, at the Hog Haus brewery in Fayetteville, Arkansas, as they brew two beers from one mash. Mead maker Mike Lozano walks us through making a pyment using a wine kit as a shortcut. Also, Douglas Wawrzynski fills us in on the victory in Utah. James talks to home brewer Sam Scott of Hamilton, New Jersey about a method he's using to harvest yeast from a carboy during primary fermentation. Also, we get another homebrew legislation update. Andy and James join home brewers Kasey Loman and Jen Royer as they brew a batch of beer using maple sap as most of the brew water. We also learn how sap is harvested. In this "extra" episode, Douglas Wawrzynski interviews Gary Glass, director of the American Homebrewers Association, on a victory for home brewing in Utah and on legalization efforts across the country. Mead maker Mike Lozano joins James, Steve, and Andy as they take part in his experiment comparing six different honey varieties in mead. Don't have space to plant hops? Don't be too sure. Chris Colby, editor of Brew Your Own magazine brings us up to date on his efforts to grow hops in containers. Home Brewer Kai Troester shares some tips and techniques he's found while researching German brewing. Also, we get an update on beer-related legislation across the country. Matt Brynildson, brewmaster at Firestone Walker Brewing, walks us through a vertical tasting of 10, 11 and 12. Matt talks about blending, wood aging, bottle aging and more. Chris Colby, editor of Brew Your Own magazine, tells us how to ferment in Corny kegs . . . and why. Bruce Swiecicki, senior technical advisor for the National Propane Gas Association, joins us to answer your questions about propane safety and getting the most out of your propane burner setup. Our first episode of the year features the last brewing session of 2008: a barleywine with James, Andy, and Casey Letellier. Casey gives us his perspective on beer and brewing in England and the U.S.